Welcome to the first eLearning Inside newsletter. It is so exciting to begin this journey with you. 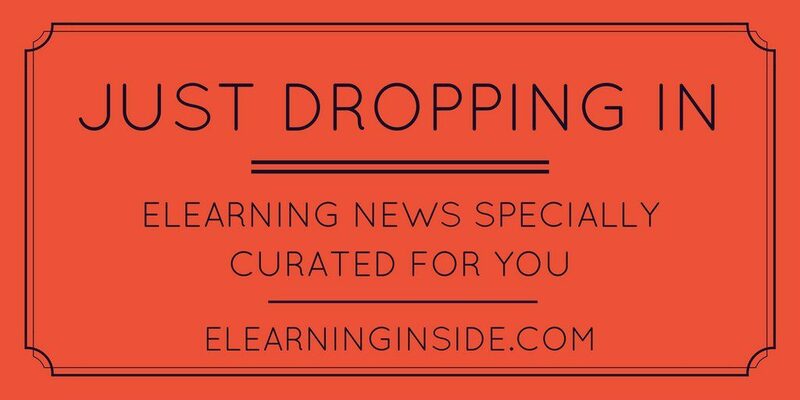 We will be dropping in every week to deliver specially curated and thoughtfully researched eLearning news straight to your inbox. Now the news that is important to you will be right at your fingertips. A new online certificate through Penn State World Campus will educate learners on digital learning design. The course will include a look at important aspects of digital learning such as development and course design, the analysis of instructional problems and even delves into using a course management system. Link. Mobile learning is taking its place in corporate training and beyond. There are still many misconceptions about how and when to use mLearning or if it is worth the effort at all. With only 1.47% of training delivered through mLearning, is mLearning coming in or going out? Link. Augmented reality is an interesting and wildly captivating discussion. The chance to interact more fully with objects and things in videos may well be just around the corner with new “Interactive Dynamic Video.” Researchers from MIT have developed a video you can reach in and “touch.” Link. Miami Ad School has partnered with Facebook to offer Blueprint eLearning. Students will be trained in a wide variety of aspects of social media better preparing them for a socially driven workforce. Experts from the top agencies and Google will be providing workshops to students. Link. Studies prove that we have become more virtually social with the rise of smartphones with a good likelihood that this will continue. Similarly, many people expect to transfer that to the workplace by interacting virtually for their jobs and by bringing their own smartphones to the workplace, almost as an extension of themselves. Llink.